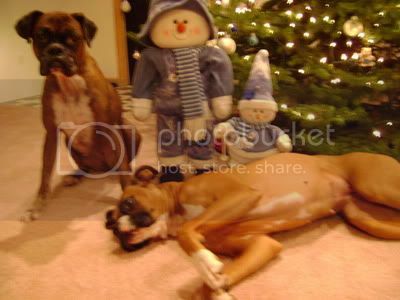 The boxer forum that I belong to does a Christmas card exchange every year. We all try to take the best holiday pics of our dogs and get cards printed. We send them to everyone on the list. Even sometimes to other countries. aww she is so sweet!